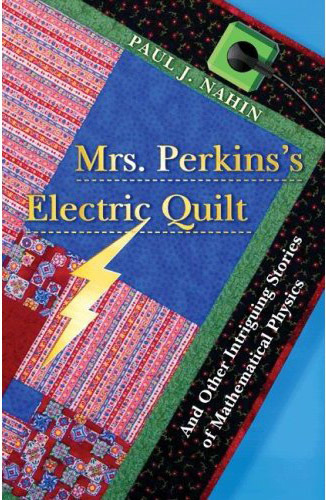 Paul Nahin discusses his fabulous new book “Mrs Perkins Electric Quilt“, mosquitos, falling through the Earth, whether mathematics is “real” and much more! It is very neat that it takes the same time to fall from one place on the earth to any other point. I hadn’t come across that before. Galileo came up with something similar, the time it takes for a bead to fall along a rod from the top of a circle to any point on the circle is the same. What happens if you miss and just get pulled toward the Earth’s center?